Mules were used extensively in the development of local Hydroelectric Power generation facilities at the beginning of the 20th century. 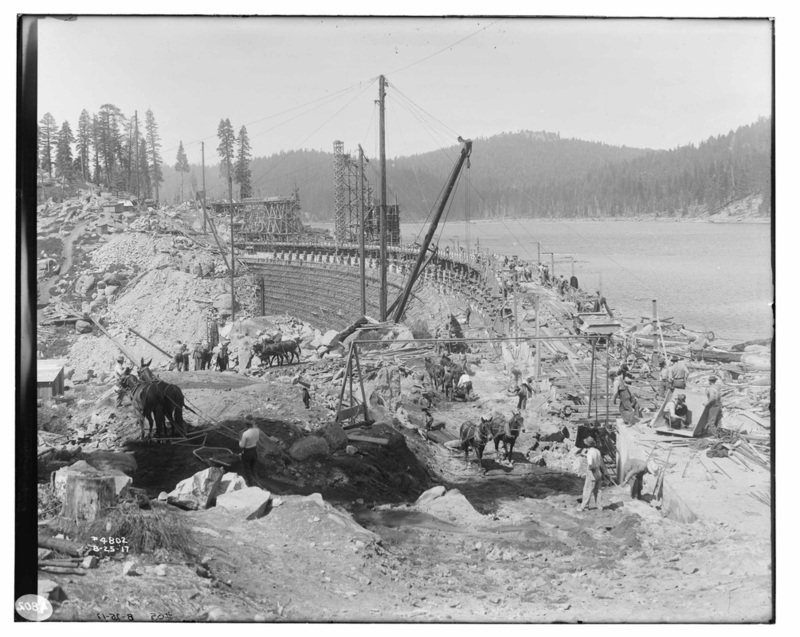 Predecessors to Southern California Edison developed four drainages along the Eastern Sierra including: Bishop Creek, Rush Creek, Lee Vining Creek, and Mill Creek, and even the Owens River Gorge prior to selling that project to LADWP. 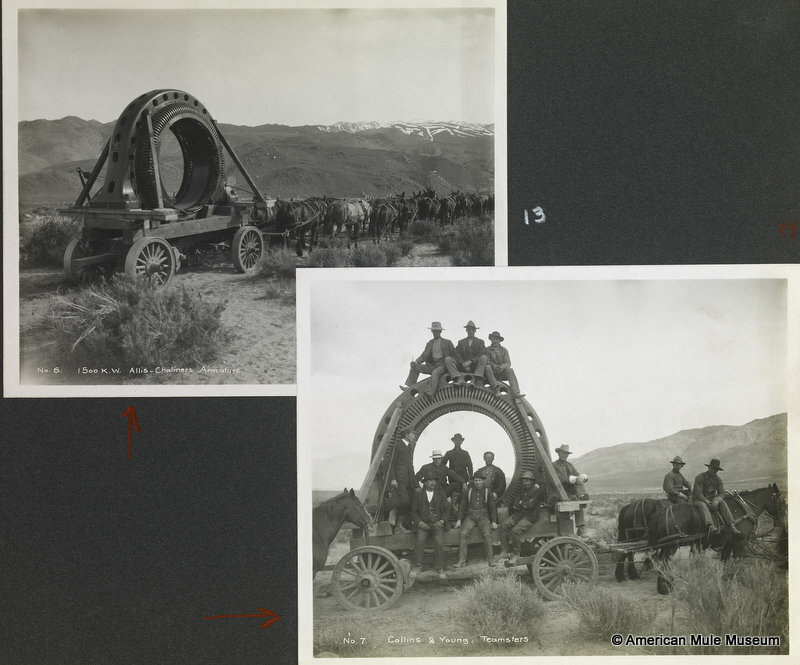 Most powerhouses were originally built to support mining booms to the East in Nevada. The power was later increased and shipped south to support growing population centers. 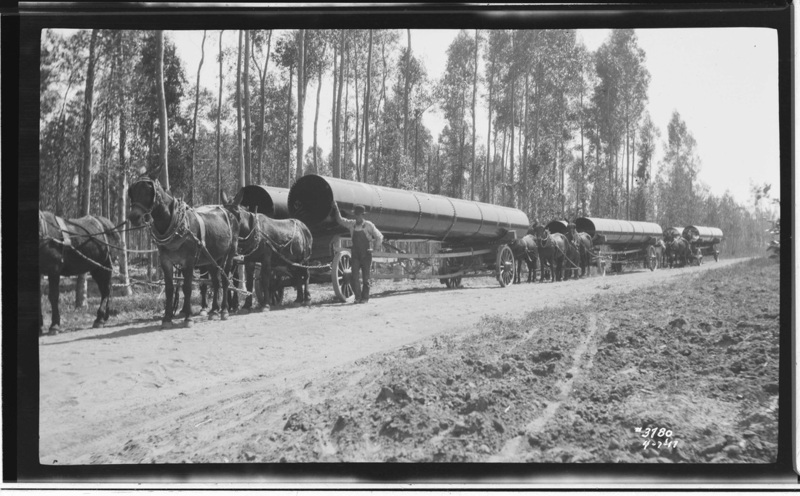 Mules hauled all sorts of powerhouse equipment including: Stators, Pelton water wheels, valve assemblies, and transformers from Laws railroad station to various powerhouse sites. Today, SCE's Bishop Hydro Division includes powerhouses capable of producing 55 MW and 11 reservoirs with a combined capacity of 60,000 acre-feet. Plant #4 - constructed in 1905 by the Nevada Power, Mining, and Milling Company. 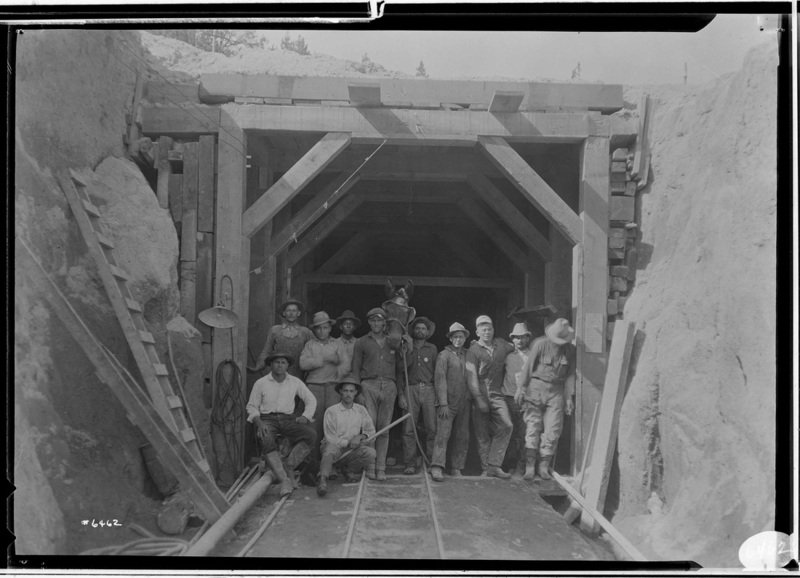 Construction started in February of 1905 and on September 20 of the same year, electricity was successfully delivered to Tonopah and Goldfield, Nevada; a distance of 118 miles. Plant #4 was the flagship powerhouse on Bishop Creek, and has five generators supplied by two large seel penstocks. Combined, over 7600 feet of steel pipe 30"-36" in diameter had to be transported by mule for just one of five powerhouses on Bishop Creek. Besides powerhouse equipment mules were instrumental in the construction of power lines. A power line crew began building the AC line rated for 55,000 volts over the White Mountains to Goldfield and Tonopah concurrently with powerhouse construction in Bishop. 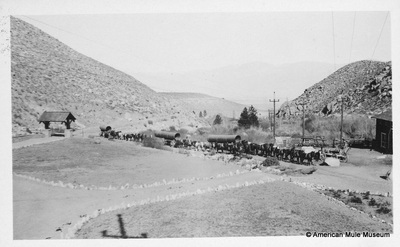 Mules hauled material for the construction of Rush Meadows Reservoir on Rush Creek. Rush Meadows is one of three concrete dams built on the Rush Creek drainage. The Nevada-California Power Company built it in 1917. 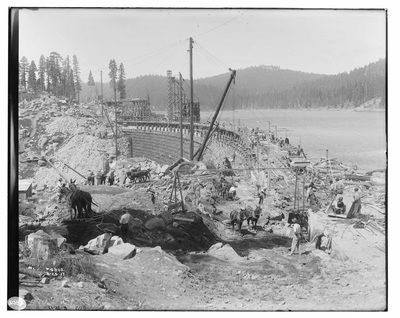 Mules were used to haul timber, aggregate, and supplies that helped facilitate the construction of these dams in remote and treacherous terrain.